Bandai Trading Card Machine Spotted! 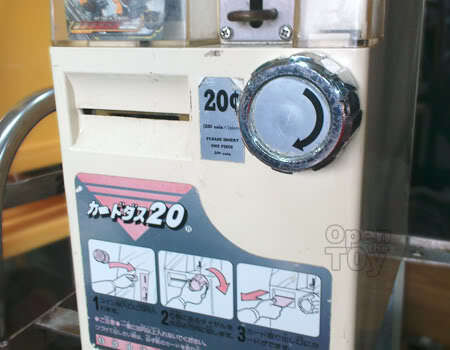 Recognize this trading card machine from Bandai? This type of machine was where I got most of my Dragonball trading cards collection. Recently, I saw this machine at a remote corner of a neighborhood central and I thought it was no longer in existence in Singapore... It is a true gem now. I'm sure many Dragonball card collectors will remember this machine in the late 80s to early 90s. It cost $0.20 per turn to get a trading card. It is still the same price today but now there are no longer Dragonball cards but some other trading card such as Transformers movie trading card. 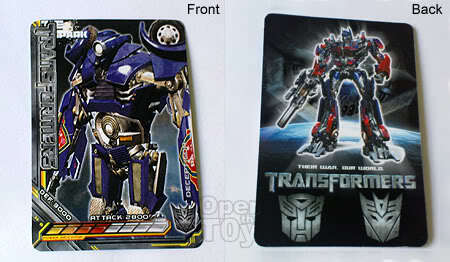 I'm not sure if the cards are original tho but there are sure not from Bandai. 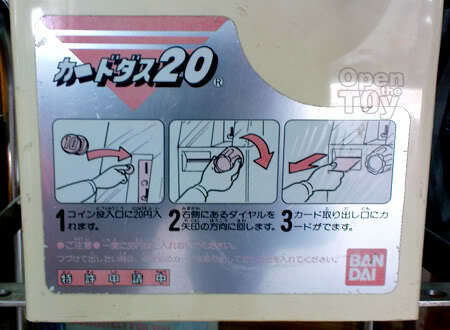 The outer casing of the plastic had turned yellowish, the chrome knob shows some paint chip and decolorizing of the instruction, the easy 3 steps instructions wording is still well visible. Haha! I remember these things from way back! I cant believe they're still around! What a fun moment turning the knob for card! 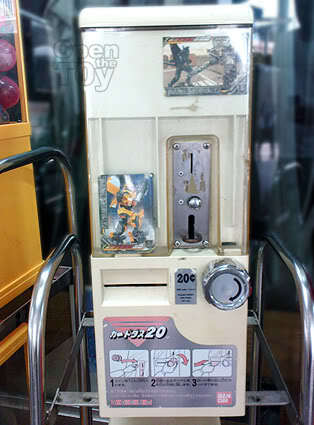 I also played with this type of card machine years back to get 'SD Gundam G Generation' cards. My wife was also with me that time. Hee! Hee! oh? tis kind of machine still exist? Surprisingly yes. They are still around. Any idea where can I find this machine in Singapore?